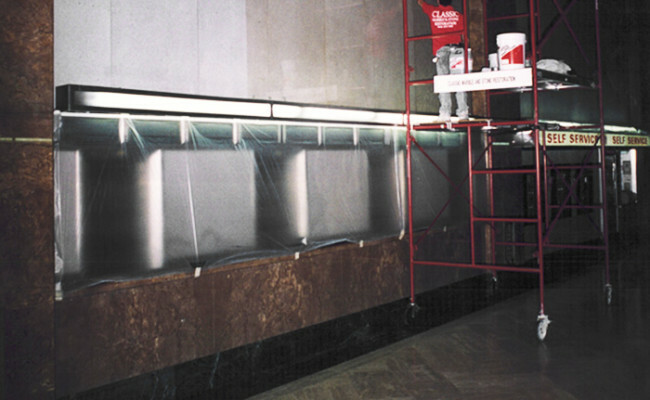 Classic Marble and Stone Restoration is fully equipped to handle any size job. We constructed a scaffold and brought a crew of professional technicians to get the work done in a timely manner during off hours for minimal disruption to normal activities. The refinished, polished stone has a glass-like quality that creates an elegant, dramatic design statement for this space. 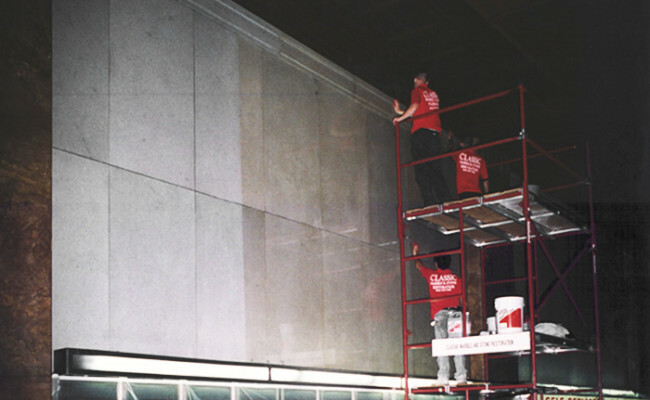 Do you need commercial natural stone maintenance services in the Philadelphia and Delaware Valley area? Use our online contact form or call (610) 356-4100 today for a FREE estimate.